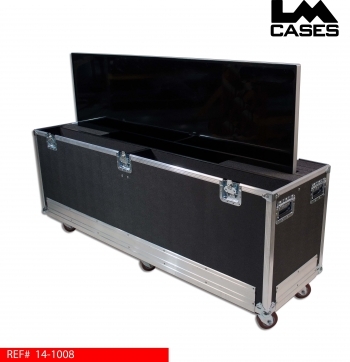 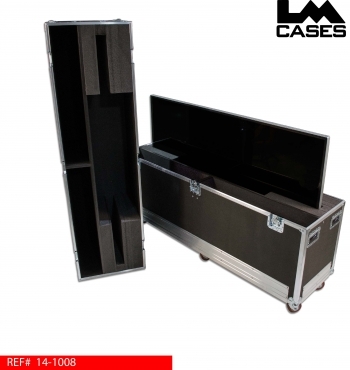 This case was built for Nintendo Of America to hold their Vizio M801D-A3 80' LCD monitor. The case holds the monitor in a custom foam lined compartment and features a large acessory compartment for peripheral storage. 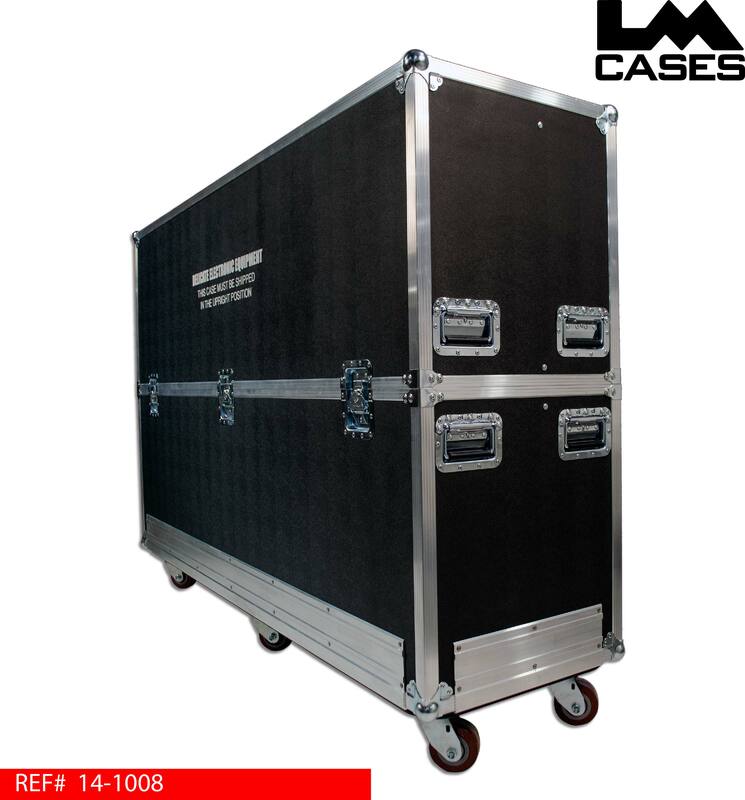 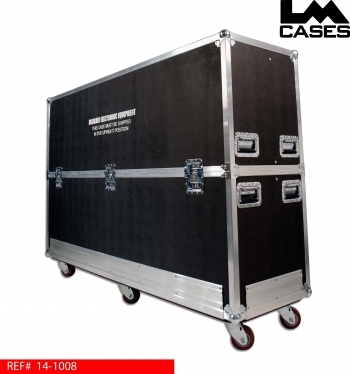 The exterior case is built out of 1/2" plywood laminated with black ABS plastic and features 8 deep recessed handles, 4" x 2" Colson casters, fragile shipping silkscreens, and LM's proprietary 1/4" aluminum forklift guard.